Premium video messages from Santa are the most exciting treats you can surprise your loved ones with for Christmas! Magical story lines reveal exclusive footage from Santa's Village, with up to 6 minutes of Santa screen time. Choose from an array of scenarios featuring fun personalization items, such as the child's personality, close friends, habits, location, good deeds, desired gift, and more! Available on the website or mobile app, Premium Videos let you add up to 5 photos and include a VIDEO EXCLUSIVE (the news everyone's been waiting all year for): Santa's Verdict. Has your loved one made Santa's Nice List this year? All Premium Videos can be personalized with an unlimited pass or a single premium video purchase. With the Magic Pass, you can also download them as a keepsake until the end of September next year when the Pass expires. NOTE: As long as you have an active Pass, you can access your videos at any time. What is the free "Greetings from Santa" video for kids? This video is free for parents to personalize for children on both the website and mobile app. It has been specifically created to give younger loved ones a glimpse into the magical world of Santa's Village. NOTE: Free Videos do not include Santa's Verdict. All Free Videos can be created until December 31st and watched online until February 1st, following the holiday season. Afterward, they will be deleted from your account. But before they're no longer available, Free Videos can be downloaded as mp4 files on any local device (desktop, laptop, mobile, tablet, etc.) as a keepsake. NOTE: Downloads are only available if you have an active Magic Pass. 1. Go to My Creations > My Videos. 2. On the video tile, click Download. What is the free "Greetings from Santa" video for grown-ups? This video is free for grown-ups to personalize on both the website and mobile app. It has been specifically created to have a hearty laugh with friends and family and enjoy the magic of Christmas. What is the free "Birthday wishes" video? Available all year-round, this video is free for parents to personalize for children on both the website and mobile app. Free Birthday Videos can be viewed on both computers and mobile devices and are available for up to 30 days following the recipient's birthday. Afterward, they will be deleted from your account. But before they're no longer available, they can be downloaded as mp4 files on any local device (desktop, laptop, mobile, tablet, etc.) as a keepsake. What if my child's name is not on the list of available names? This may be because your child's name is rare or has an unusual spelling, but the name may also be pronounced the same way as another name on our list. The elves recommend that you enter your child's name with a more common spelling (e.g. Isabel instead of Izabel; Anthony instead of Antony), or use language specific characters, or listen to the different options proposed by the dropdown menu. If this doesn't sound quite right, select 'See other options', and you will see a list of close matches that may be what you're looking for, or nicknames that you can use instead. Remember that once you pick one, you can still change the spelling of your child's name without changing the pronunciation. Still not right? Users who have made a purchase have the option to request a new pronunciation, and record exactly how it sounds, so that the elves can get it added to our database! Simply follow the instructions in the menu and wait for an email update. Just remember that it can take time to add, so make sure you make your requests early in the season! Why is Santa saying the wrong age in the Birthday Video? When you create a birthday video message, the birth date is used to calculate the child's birthday and age when their next birthday comes around. This means that if the video was created after their birthday, it will calculate the age the child will be next year. 2. Click Edit in the video details of the birthday video, then go to the first page of the form. 3. Change the birth year to set it one year later. 4. Click Save and accept the changes. 5. Go to My Creations and click the Play button in the video preview. Remember that the video will need to regenerate again. You should now see and hear Santa say the correct age, even if you're watching the video after the birth date. Can I make more than one child the central character in the story? Last year we introduced group videos, intended for groups such as childcare, school classes, sports clubs etc. However, at this time, there cannot be more than one central character in a video scenario. If you have more than one child, we suggest creating different Premium Santa Videos, one for each child. Premium Santa Videos have many different storylines, making it possible to create unique video messages for individual children living under one roof. Why am I having trouble uploading a photo in the personalization form? Make sure you're using one of the formats accepted by PNP: JPEG, GIF, or PNG. The size of the photo is also very important. Be sure your photo has a minimum resolution of 640x480 pixels, and that you haven't exceeded the maximum size of 8 MB. Be sure to create a new recipient, using one from previous years can cause problems when uploading photos. If you can't see the bottom of the pop-up box on the website, it is likely due to your screen resolution. Place your cursor on the pop-up box and scroll down using your mouse wheel. If this doesn't work, or if you don't have a mouse connected to your computer, zoom out in your browser by pressing the Ctrl and - buttons (PC) or Command and - buttons (Mac) at the same time, you may need to do this two or three times. In order to reverse this, you just need to press Ctrl and + buttons (PC) or Command and + buttons (Mac) at the same time. If you continue to have trouble, the Invengineer elves suggest you download the latest version of your web browser. If you're still having trouble, contact the elves for support HERE. How do I transfer Santa Videos from my web account to my mobile device? All your personalized video messages are available on any mobile device.  Just install the free Portable North Pole mobile application available in The App Store and Google Play and connect to your PNP account. 1. Log in using your email and password combination, or by connecting with Facebook or Google. 2. Choose a 4-digit parental code to access the Parents Corner. 3. Go to My Creations > My Videos. 3. Click the Play icon on your Santa Video thumbnail. Sit back and enjoy the magic! How do I transfer my mp4 video message that I purchased on the web to my mobile device? Santa Videos download in an mp4 format so that they are easily transferable on mobile devices. Please refer to your mobile device manual's instructions to transfer a mp4 video file on it. The elves want to remind you that you can also create, view, and download your videos on the free PNP mobile app available on The App Store or GooglePlay. How do I create personalized videos on the PNP mobile app? 1. Open the application and log in using your email and password combination, or by connecting with Facebook or Google. 2. Go to the Parents Corner. 3. Create your 4-digit parental code. If you've already created one, simply enter the code. 4. Tap Create Video and browse the list of scenarios available for personalization. 5. Once you choose a video scenario, tap Personalize on the video thumbnail and follow the form steps. 6. Once you're done, tap Create video. You will be asked to wait a few minutes while the Invengineer elves create your video. You will receive a pop up notification once the elves have finished creating your video! How do I set up an automatic birthday video from Santa? When you enter a recipient's birthday while making a video you will see an option referring to an automatic birthday video. 1. Enter the recipient's age instead of their full birthday. 2. Go to My Recipients in the My Creations section, find the recipient you want and select Edit. Then, choose the option to opt out of the automatic birthday video. The easiest way to share your Santa Video is by using the "Share video" option in My Creations. This option allows you to share your video with all your friends on Facebook, Twitter, or by sending a link via email. On the mobile app you can use the same option to share a link to your video on any applicable application you have installed on your device. Remember that you need to choose to send the video to the recipient to keep it spoiler free! How do I make sure I receive email notifications from PNP regarding my personalized video messages? 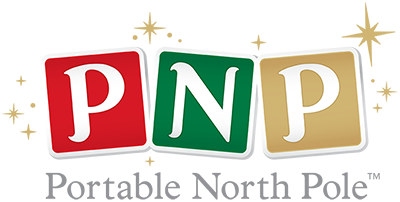 If you're expecting an email from PNP but haven't received it yet, start by looking in your spam or junk folder. Your email service may not recognize PNP's email address and mark it as spam. If so, tell your email reader application "this is not spam" by adding PNP's email address to your list of contacts or list of secure/verified senders. How do I add my personalized video message to YouTube? To share your Santa Video on YouTube, you will need to save it to your device (computer, laptop, tablet, smartphone, etc.) beforehand by downloading. This option is only available to Magic Pass holders. 2. Near the Santa Video thumbnail, click Download Video. 3. Once the file is on your local device, you can upload it to your YouTube account by following the instructions provided by YouTube. How do I share a video to the kids corner on the PNP app? First you need to find the video in My Creations. Open the video page by tapping or sliding it. On this page you will find the option to toggle 'Visible in the kids corner', which will make the video show up for the little ones. Who sent me a PNP video and how do I view it safely? 1. When in doubt about the source of an email, do not open it. If you do, do NOT click any links it contains. 2. The person who sent the video is usually identifiable; for example, their name would appear in the subject line. So, if the subject line is impersonal and you do not recognize the sender, proceed with caution. 3. If you believe you have received a fraudulent email claiming to originate from PNP, use the Report Abuse button displayed at the top right of the video player to send it to Customer Support. The elves use this info to fight spam and phishing attempts. 1. Make sure you always use the latest version of your browser so it can flag malicious websites. 2. Add PNP's email address to your list of senders so that you only receive video messages meant for you. NOTE: This does not guarantee that you will never receive any hoax videos. The Download video option is only available to Magic Pass holders on the Portable North Pole website and mobile app. It allows you to download a video message you've created in High Definition on any local device as a keepsake. The Download video button will appear next to your personalized Santa Video in My Creations. You can download your video on any local device (desktop, laptop, mobile, tablet, etc.) an unlimited number of times! How do I download a video message? Simple! Just go to My Creations > My Videos and click Download Video, and your video will download onto your computer or mobile device. With a Magic Pass, you can download your video as many times as you please. Whatever makes you feel warm and fuzzy inside. If you're experiencing problems downloading your video, you can try refreshing the page and clicking the Download video button again. If you still can't retrieve your video file, contact the elves for support HERE. In some cases, you will need to right click on the download option and select "Save link as" or "Download Linked File As". This will give you an option to name the file, and choose where to save it. What are the advantages of downloading my Santa Video? Free Videos are deleted after a short period of time and Premium Santa Videos are archived; but downloading your videos will allow you to revisit fond memories and enjoy your videos until the end of time! 1. Keep your videos in MP4 format on any local device. 2. View your videos at any time, even when you are offline. 3. Copy the file to a DVD, USB, or any storage device, to preserve your Christmas memory long after it ceases to be available on Portable North Pole. 4. Publish it on your own website, blog, YouTube channel, etc. 5. View it in widescreen format on your TV. What is the format, resolution, and size of the MP4 video messages?